Upgrade your Exocet's cooling system with Liquid Chill® Synthetic Engine Coolant. 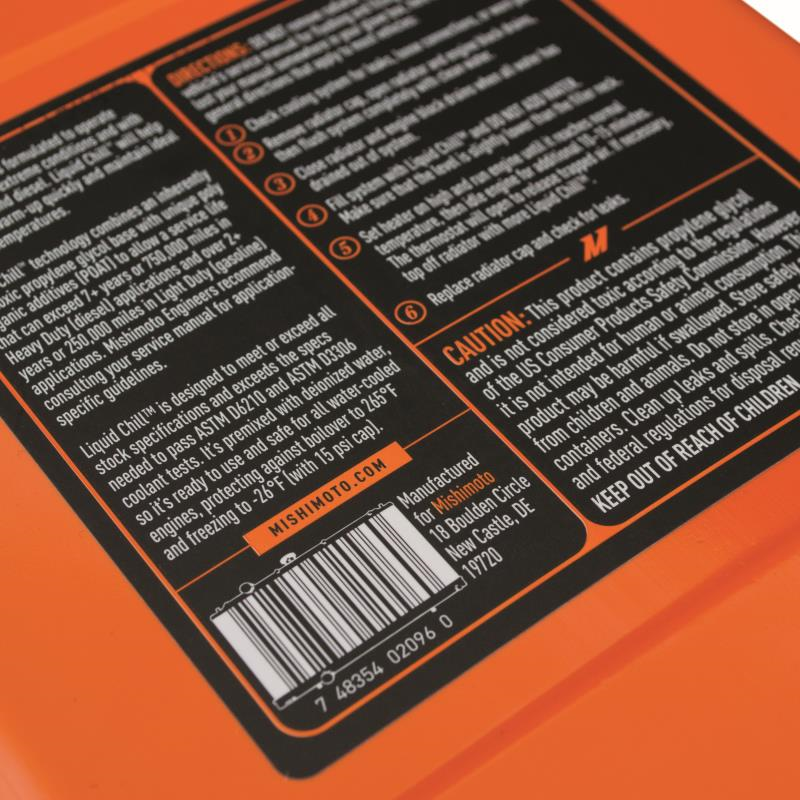 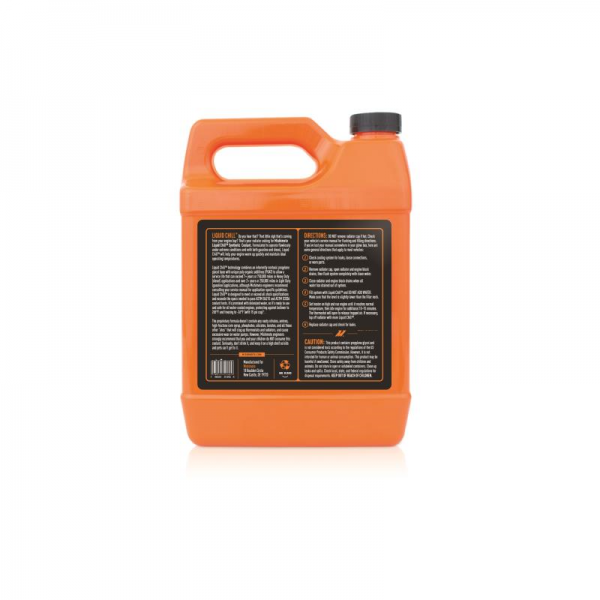 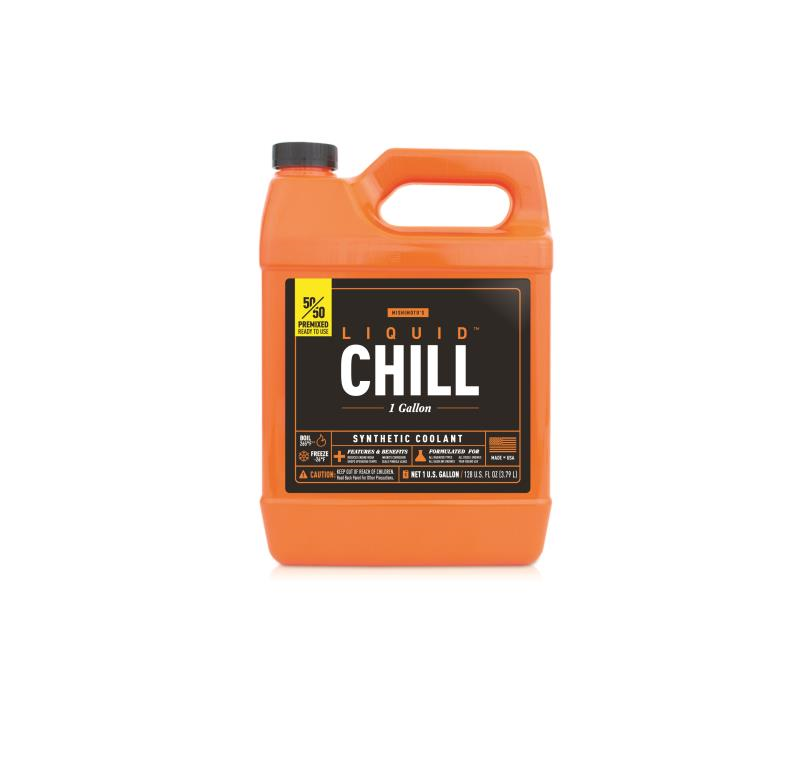 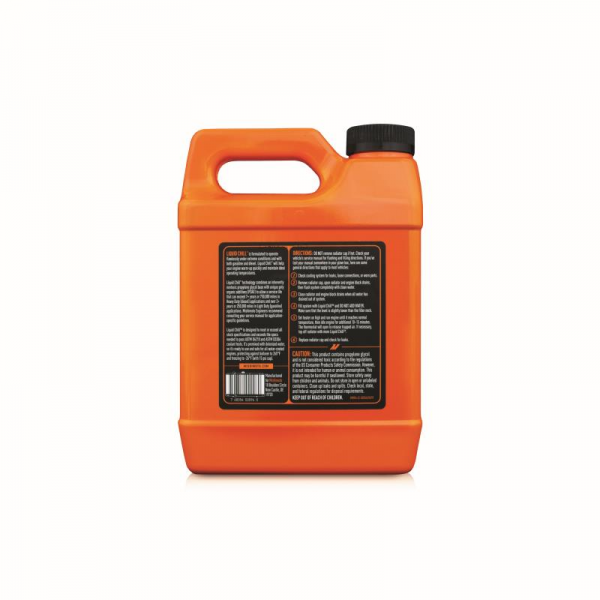 Formulated to operate flawlessly under extreme conditions and with both gasoline and diesel, Liquid Chill® antifreeze and engine coolant will help your engine warm up quickly and maintain ideal operating temperatures. 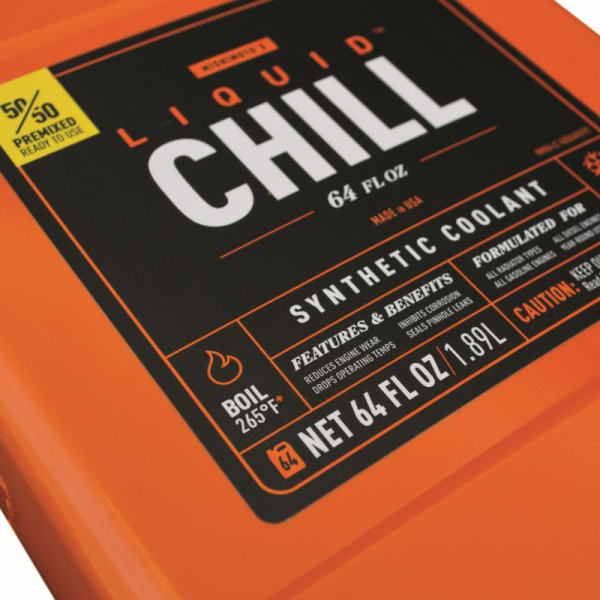 Liquid Chill® Synthetic Engine Coolant technology combines an inherently nontoxic propylene glycol antifreeze base with unique poly organic additives (POAT) to allow a service life that can exceed 7+ years or 750,000 miles in Heavy Duty (diesel) applications and over 2+ years or 250,000 miles in Light Duty (gasoline) applications, although Mishimoto engineers recommend consulting your service manual for application-specific coolant and antifreeze guidelines. 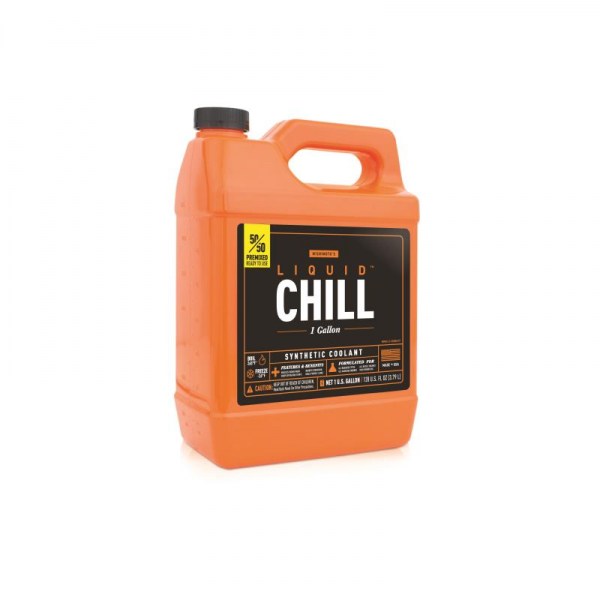 Liquid Chill® Synthetic Engine Coolant is designed to meet or exceed all stock specifications and exceeds the specs needed to pass ASTM D6210 and ASTM D3306 coolant / antifreeze tests. 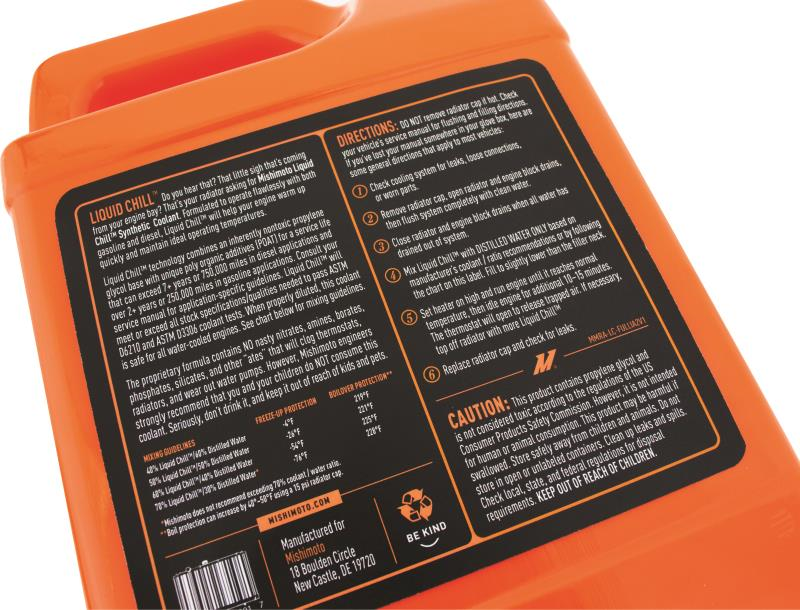 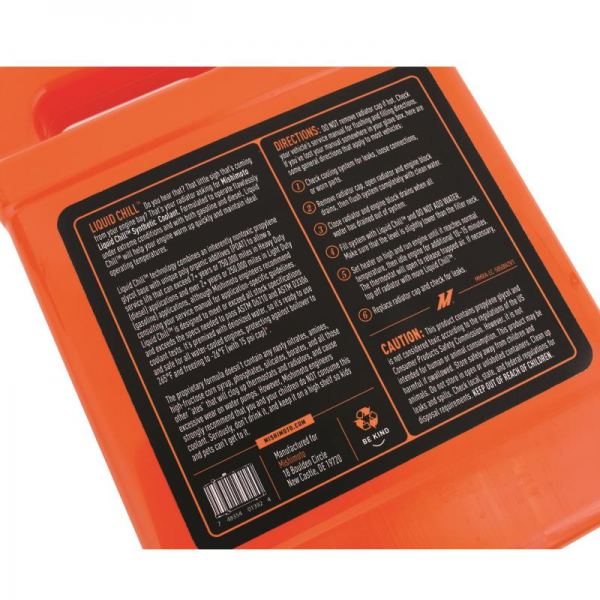 This antifreeze coolant is safe for all water-cooled engines, protecting against boilover to 265°F and freezing to -26°F (with 15 psi cap). 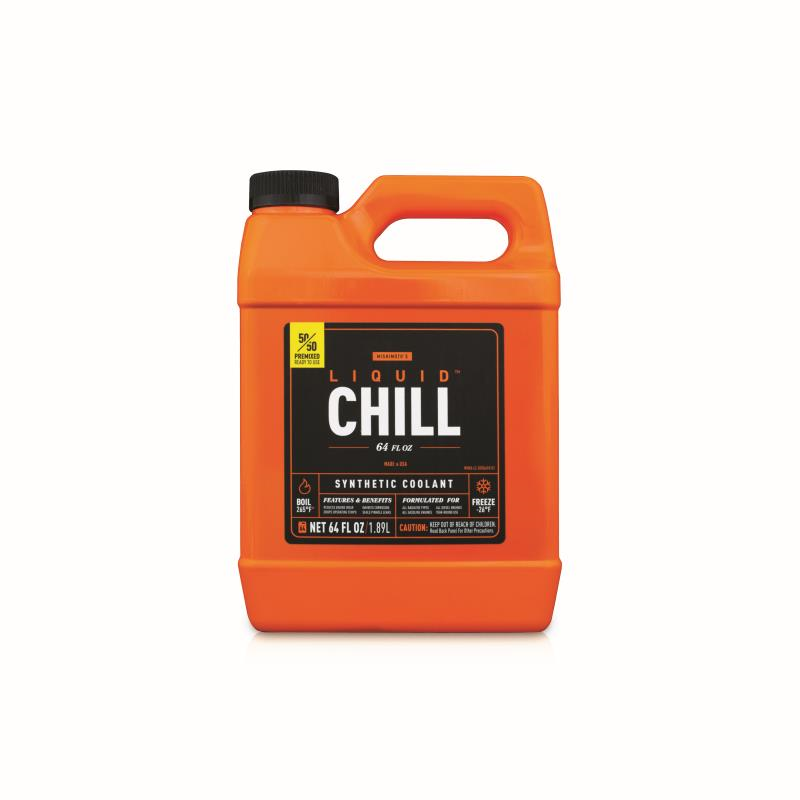 Liquid Chill® Synthetic Engine Coolant is available in full strength and premixed for your convenience.